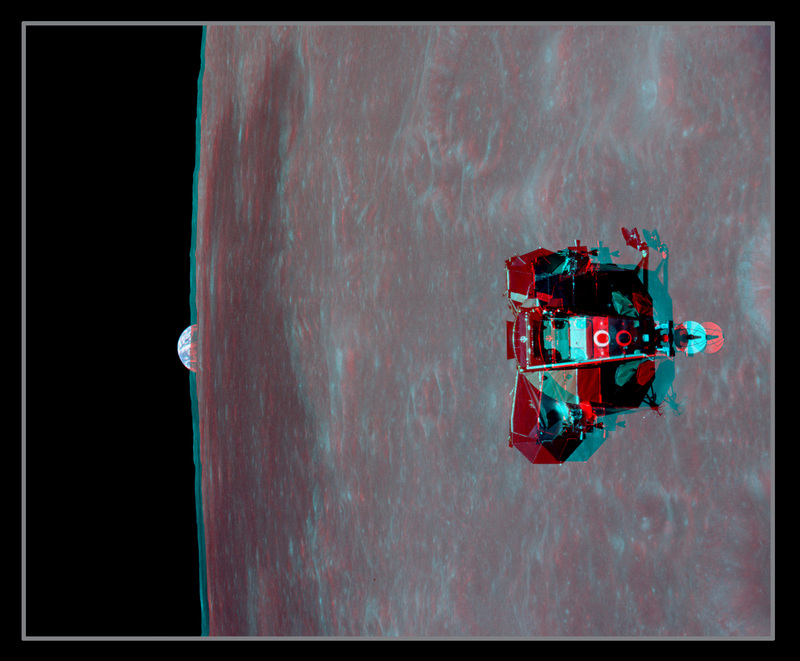 Explanation: Get out your red/blue glasses and check out this remarkable stereo view from lunar orbit. 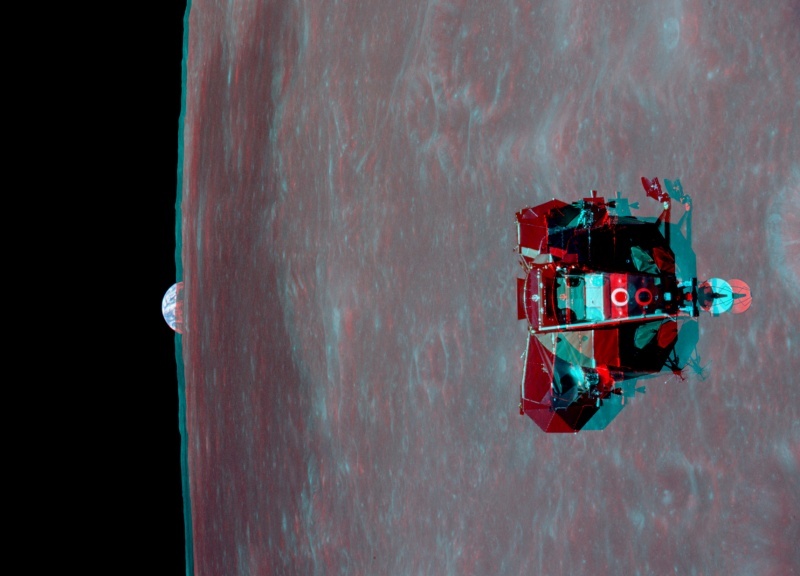 Created from two photographs (AS11-44-6633, AS11-44-6634) taken by astronaut Michael Collins forty years ago during the 1969 Apollo 11 mission, the 3D anaglyph features the lunar module ascent stage, dubbed The Eagle, as it rises to meet the command module in lunar orbit. Aboard the ascent stage are Neil Armstrong and Buzz Aldrin, the first to walk on the Moon. The smooth, dark area on the lunar surface is Mare Smythii located just below the equator on the extreme eastern edge of the Moon's near side. Poised beyond the lunar horizon, is our fair planet Earth.